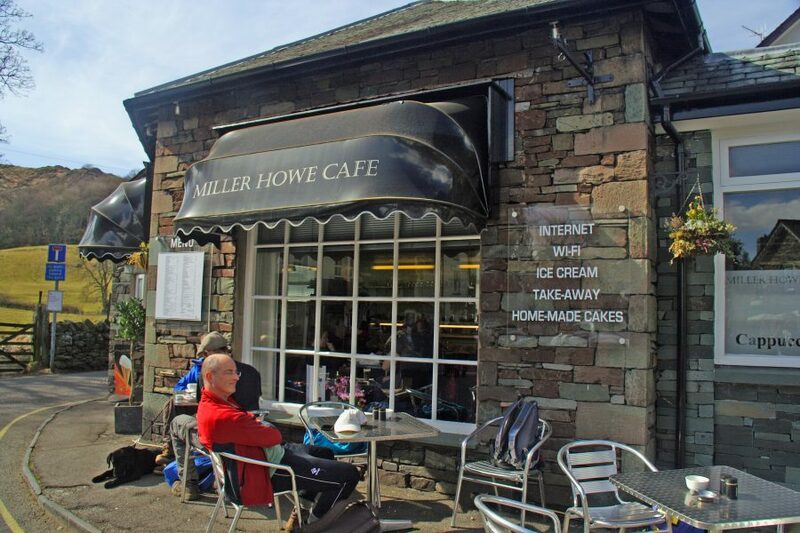 If, like me, you’re addicted to blackcurrant pie, make sure you visit the Miller Howe Café in Grasmere next time you’re in the Lake District – you’ll struggle to find a better piece of pie! 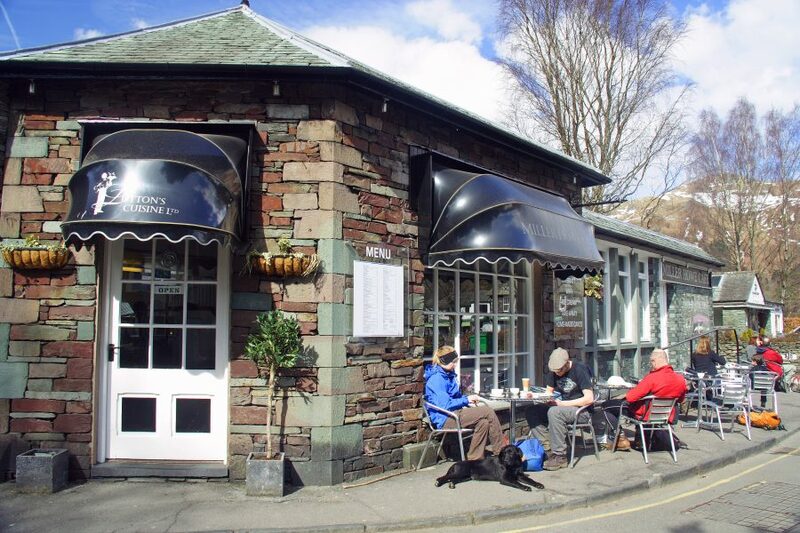 But it’s not just blackcurrant pie which is on offer at this café, situated in the heart of Grasmere, one of the Lake District’s prettiest villages. The display cabinet is full of delicious sweets, cakes and tarts to suit all tastes. Apple and cherry pies (around £3.95 a slice) are equally scrummy; then there is coffee cake, bakewell tart, peppermint flapjack, banoffee pie – the list goes on. The menu includes plenty of scrumptious light meals, too, and a selection of options for children. My two enjoyed jacket potato with cheese, crisps and apple – enough to fill them up before we headed off on our afternoon walk to nearby Easedale Tarn. 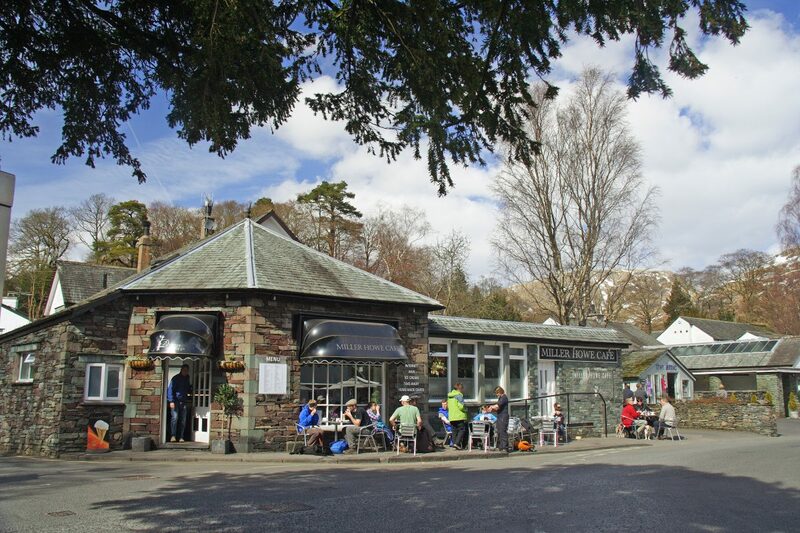 The café has seating inside and out, toilets, free wi-fi and staff who are welcoming, helpful and efficient. What more could you ask from a café? Note: since writing this review, ownership has changed. On a subsequent visit, the seating had changed outside and we felt prices had increased – even though it wasn’t a cheap café in the first place. Thankfully, though, the blackcurrant pie was still being served.